If silly cats are a favorite for that special person in your life celebrating National Cat Day, look no further than this one of a kind card. 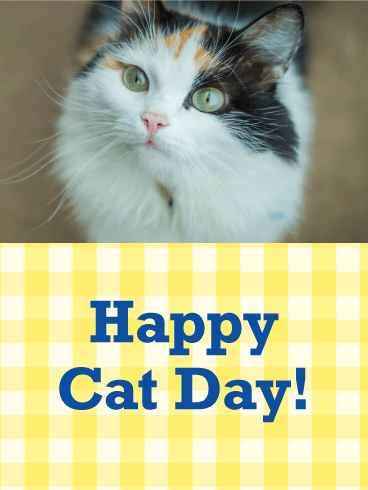 This cat is equally adorable and ridiculous, which makes it perfect for this special day of celebration. It's an added bonus that that face is simply irresistible. Take one look and you'll realize it's impossible to resist that sweet face! 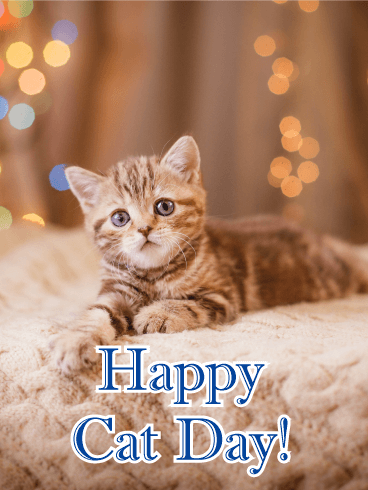 For the cat or kitten lover in your life, honor them on this special day with a fabulous card. 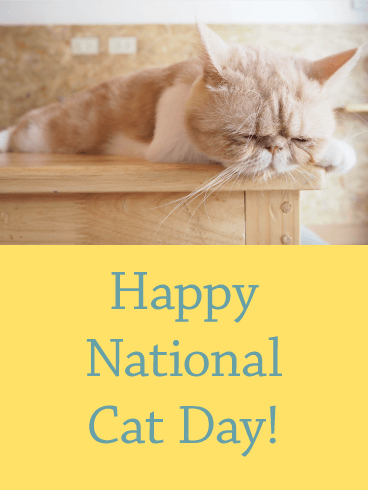 This National Cat Day card is truly one of a kind and is sure to make them and their furry friends feel loved. We know, we know... this might just be the cutest kitten on the planet! Take a look at those big, bright, blue eyes and try not to melt. The lights in the background make it even more captivating. 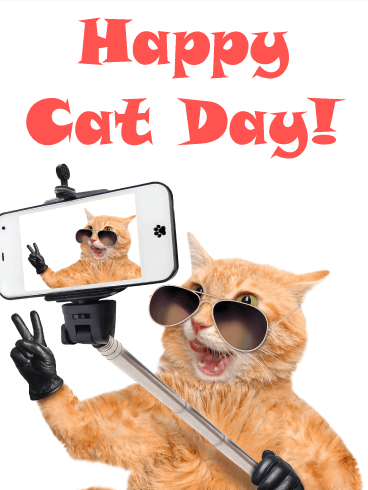 For the person in your life who celebrates National Cat Day, this card is an absolute must. Is there one special person in your life who eats, sleeps, and breathes all thing cats and kittens? 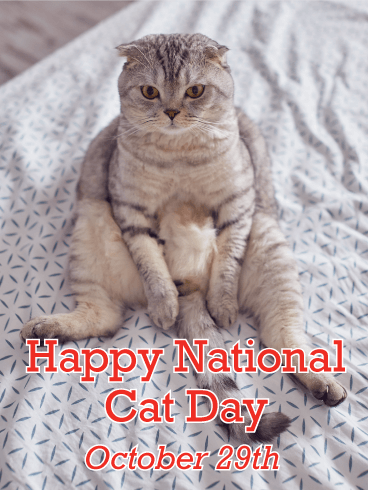 This is the perfect card to let them know you're thinking of them on National Cat Day. The sleepy cat is precious, all cuddled up with whiskers abound. The guy or gal lucky enough to receive this card is bound to love it. There's nothing more precious than a girl and her cat. Just looked at those scrunched eyes and that loving smile. 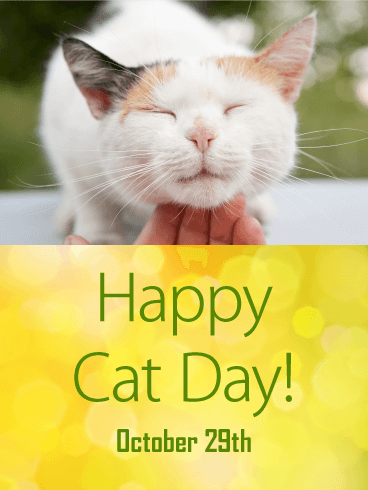 Cat lovers are a special breed, and this National Cat Day card is sure to make the cat lover in your life smile. The picture on this card is simply adorable, and it definitely makes this card a winner. Have that special someone in your life whose love of cats is almost as strong as their sense of humor? If so, we've got you covered. 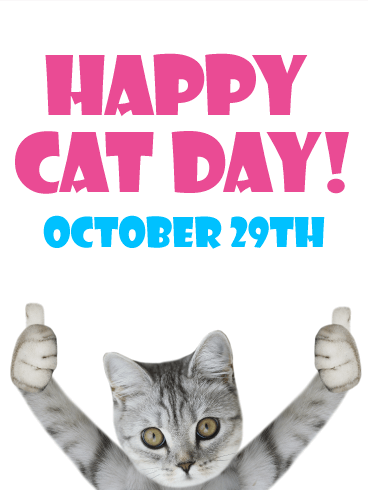 This National Cat Day card is unlike anything else out there. You still get those sweet kitty eyes while having the humor of the thumbs up. The recipient won't be able to resist smiling. Who says National Cat Day cards have to be dull?! This card proves that wrong in every way. This is a card that's equally hilarious and ridiculous, which is what makes it such a great pick. For the cat fan in your life, whether it's a relative, friend, or colleague, this card is a definite win. This might just be the sweetest kitten we've ever seen, and we know you're right there with us! There's no better way to celebrate National Cat Day than with those piercing eyes and that soft-looking fur. 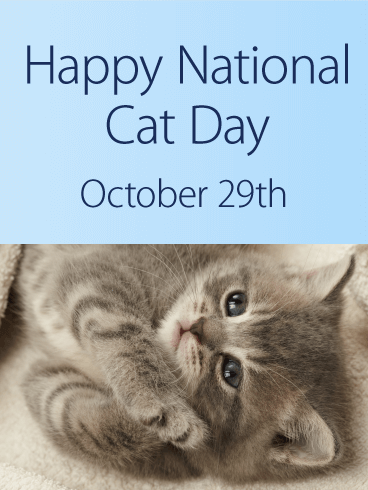 If giving a kitten or sweet kitten cuddles isn't in the cards for National Cat Day, this card is the next best thing. The combination of this precious kitten and bright yellow gingham background makes for an eye-catching card that's also sure to capture the heart of the recipient. 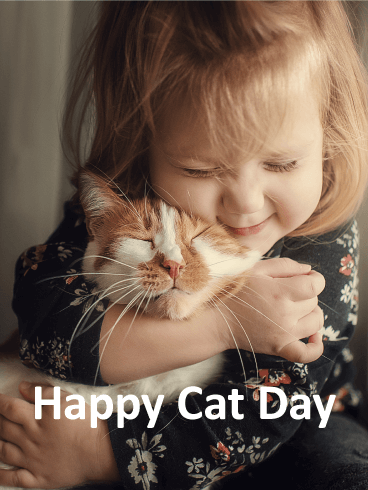 After all, there's no better way to celebrate National Cat Day than with those captivating green eyes, the gorgeous multicolored fur, and the sweet look on this kitten's face. They're sure to love it! 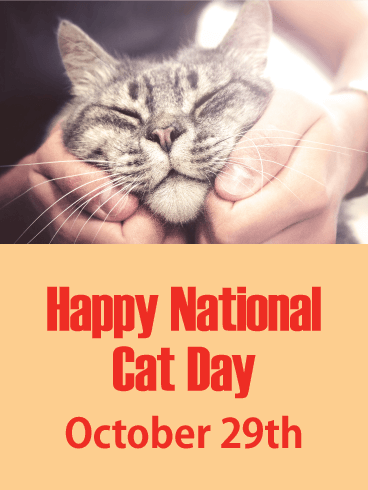 October 29th is a very special day in the world of cat owners, so take note of that and make their day with this awesome National Cat Day card. It's the perfect balance of simple and heartfelt. This sweet, scrunched cat face is too cute for words, and any cat lover in your life is bound to love it.